Built in the 16th century, as a farm house, this is now operating as a pub and restaurant, but at present I do not know when it started its business as a public house. From the http://www.kentlive.news 03 December, 2015. Southborough pub The Weavers' former publicans speak out. Above photo showing Cecilia and Tony Foster and the Weavers. THE Weavers pub and restaurant in Southborough where well-known couple Cecilia and Tony Foster served Thai and Malaysian food for five years remains closed this week, with doors boarded up just weeks before Christmas. Pub company Enterprise Inns told the Courier it had closed because the publicans had a "change in their business circumstances". The historic pub in London Road, a 16th century farmhouse, had been home to the Foster family for the past five years but they left suddenly on November 17. 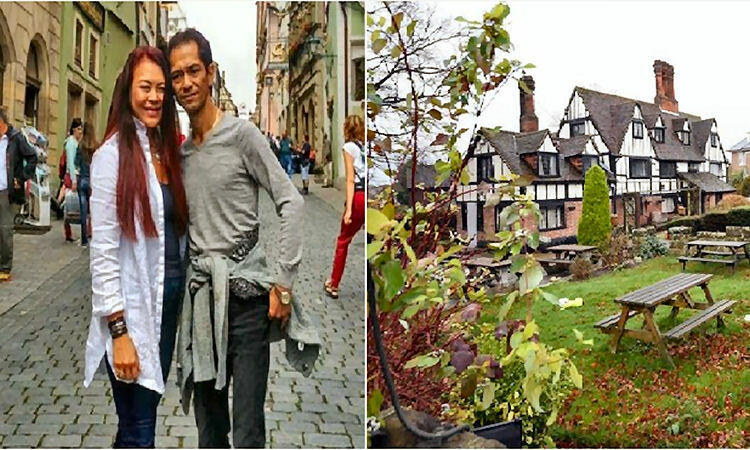 The Fosters are well-known for their food in Tunbridge Wells, having been based at several pubs and restaurants in the town, including the Cross Keys Inn, the Mount Edgecumbe and Indo China at the Vale Hotel. 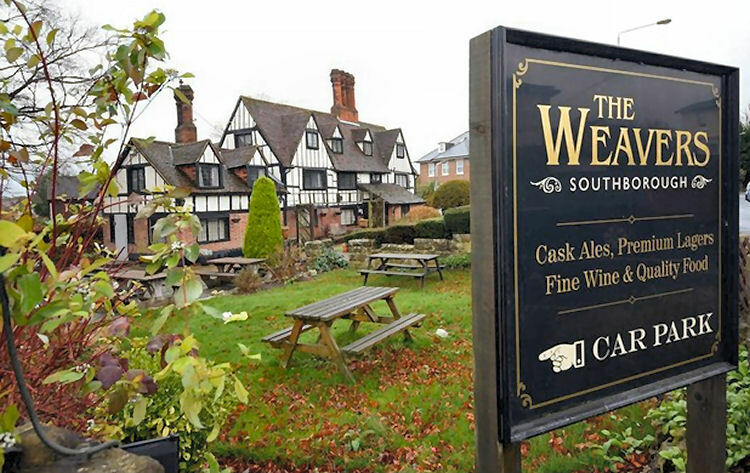 An Enterprise Inns spokesman said: "Unfortunately, our venue The Weavers is currently closed as we have been unable to finalise a new agreement with the publicans following a change in their business circumstances. "We would like to reassure the community of Southborough that we are committed to this popular pub and are currently recruiting for a new publican to take it on to trade." But Cecilia Lim-Foster said she and her husband had wanted to make the new agreement and claimed lengthy delays were caused by a succession of managers at Enterprise. She said: "We didn't leave on our own, they evicted us. "We got made homeless in 24 hours. We have been there for five years and lost our home and livelihoods." She added: "I want to pick up all the broken pieces and rebuild our lives again. "We are hard-working people with not a lot of luck on our side. We thought we had purchased a 15-year lease. But unfortunately we lost again. It was a big kick in our teeth." Mrs Foster said they would still be living in Tunbridge Wells. Residents and regular customers said it was a shame the pub was closed and spoke of their fond memories of when it was open. Keith Sinclair, 55, of Woodbury Park Road, used to eat at The Weavers. He said: "I think it needs a facelift. I don't think it will work unless it is upgraded. It is a big restaurant." Enterprise Inns said anyone interested in the business opportunity should contact its recruitment team on 0800 953 0072 for more details. I am not sure whether this pub is open again (2017) local knowledge required.